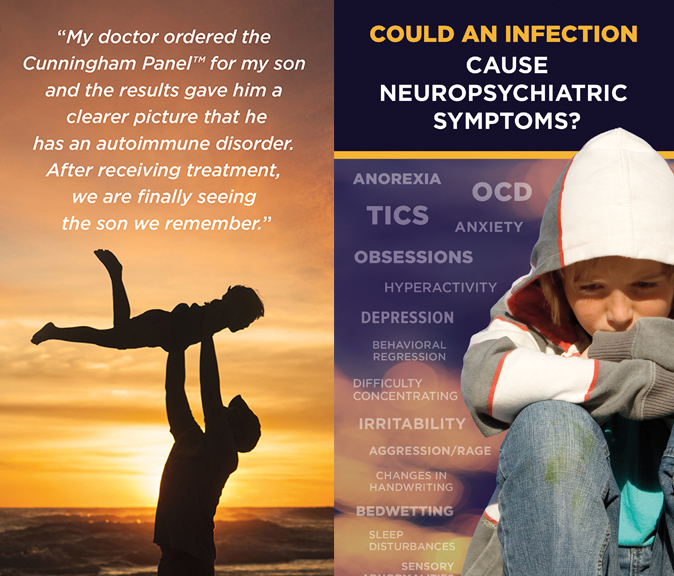 Neuropsychiatric Disorders are extremely complex medical disorders. They can be difficult to recognize and challenging to understand. For parents/caregivers and patients, managing symptoms is often overwhelming. 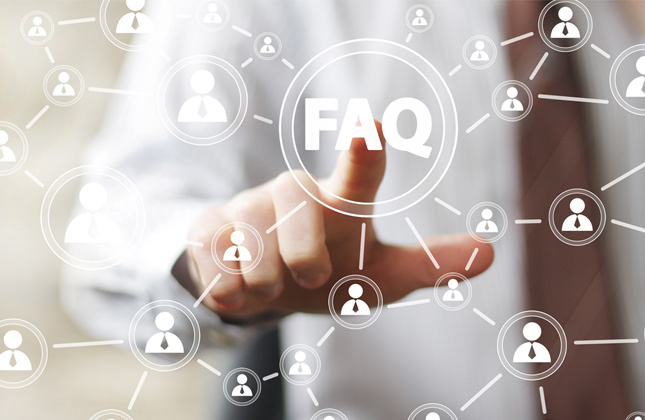 Our Resource Center provides information about the Cunningham PanelTM of tests, along with the latest news, research and developments regarding Neuropsychiatric Disorders. 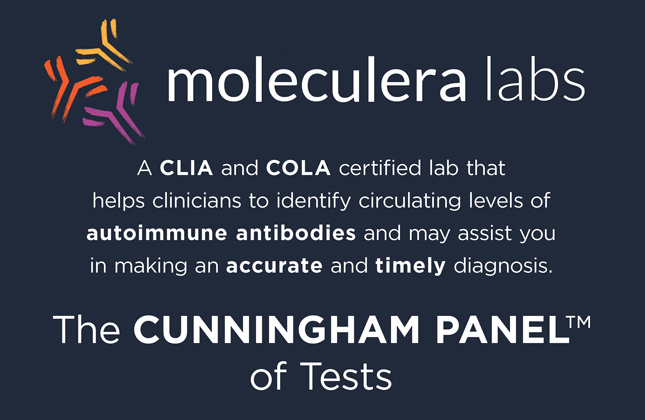 Many of you have expressed interest in having your children tested in the Cunningham Panel™ of tests. Our goal is to provide independent laboratory testing results to aid your physician as they make decisions on diagnosis and treatment for your child. 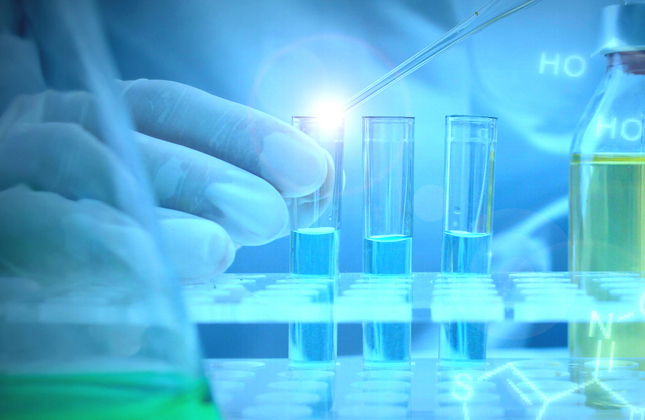 Moleculera Labs is not contracted with any laboratories to provide blood draw services. Click below to help you locate a laboratory for the blood draw. 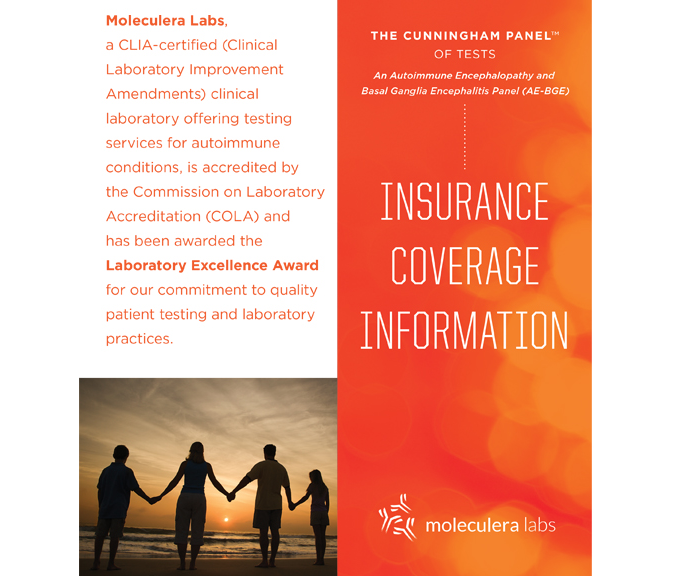 The following information is provided to help families maximize their insurance benefits for the Cunningham Panel™ of tests. 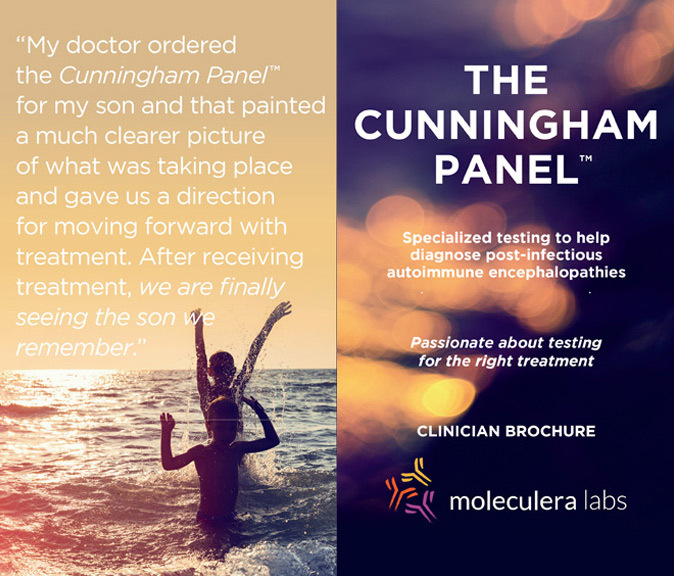 The purpose of the Cunningham Panel™ is to provide laboratory results to physicians as an aid in their diagnosis of Neuropsychiatric Disorders. 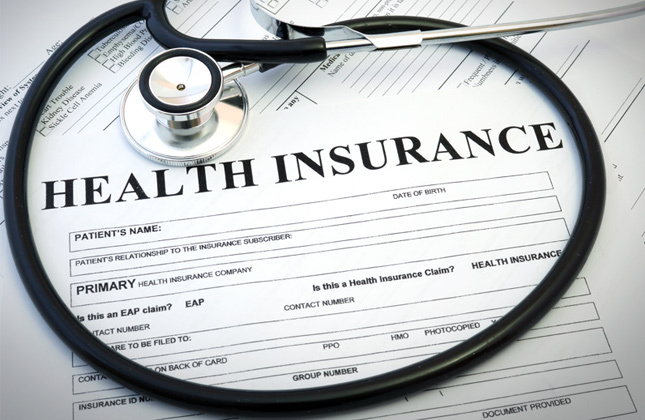 Learn more through our Parents and Patients Frequently Asked Questions. 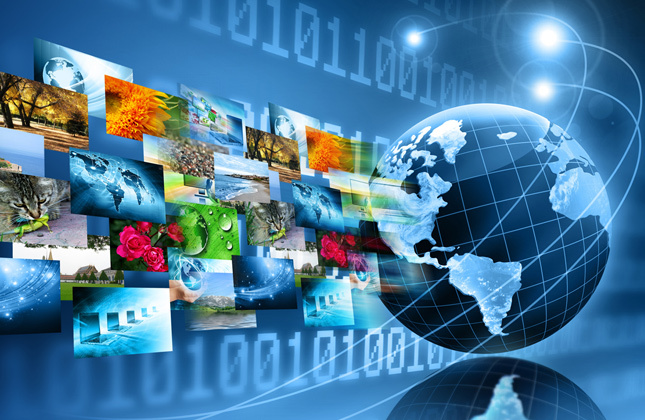 Educational videos about Neuropsychiatric Disorders from leaders in the field. 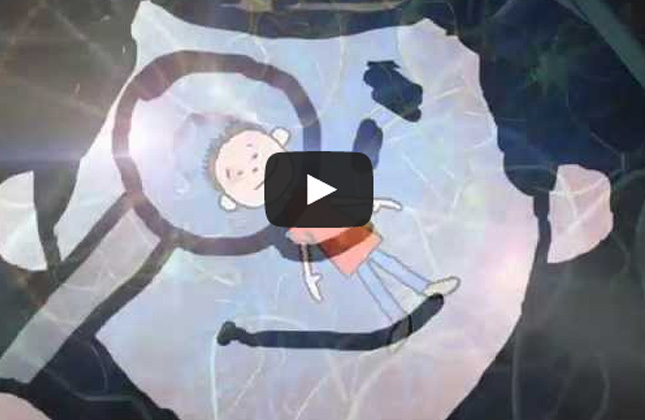 This educational video, produced by Moleculera Labs, provides insight into two perplexing neurological conditions ─ PANS and PANDAS. 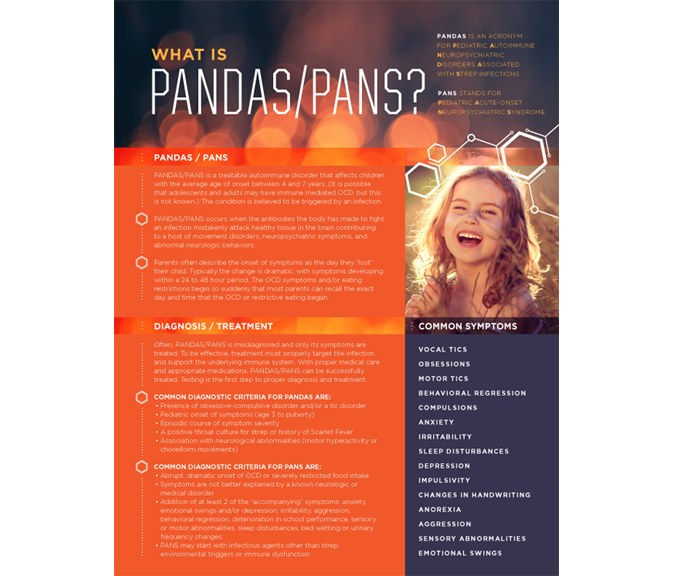 It is designed to explain PANS/PANDAS to a variety of audiences, both lay and professional.